Sgt. Rodney Guerra was arraigned Oct. 26 on a Class B misdemeanor charge of theft between $100 and $750. 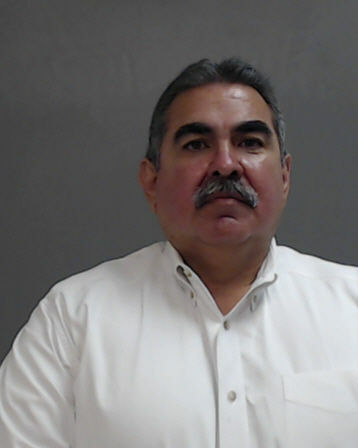 The misdemeanor can be enhanced to a Class A, which is punishable by up to a year in county jail, since Guerra, a 23-year veteran of the Alamo Police Department, was a public servant at the time of the alleged offense. Castillo, who was hired in February, could not be reached for comment Thursday despite multiple attempts. According to the probable cause affidavit tied to the arrest, Guerra attempted to take a pair of prescription Ray Ban glasses valued at $250 that an officer found in the passenger door of one of the department’s patrol units. After the sergeant discovered the glasses on Guerra’s desk a second time within the span of a week, he submitted them to the evidence property room. Three days later, Guerra asked an ID tech to let him borrow the glasses because he needed reading glasses. The tech consented, and that same day the sergeant “observed the glasses he had entered into the evidence room were on the defendant’s desk,” the affidavit states. Guerra was placed on suspension without pay Oct. 25 following his arrest, according to City Manager Luciano Ozuna Jr. In the letter to the city, Villalobos also warned that if the city terminates Guerra, he would file a wrongful termination lawsuit against them. “I am certain that the city of Alamo has much better places to expend its limited tax revenue for the betterment of its citizens, rather than on defending itself and paying out settlements or judgments as a result of wrongfully terminating employees on baseless grounds,” the letter reads. It could take two to three months before the case goes before a grand jury to determine whether Guerra will be formally charged with the alleged offense.